As students load up their cars for move-out day, they may have found not all of their belongings fit in the back of a mini-van the way they did on move-in day. Instead of throwing away that extra bag of clothes or desk chair that can’t be crammed in, why not donate it to Goodwill? 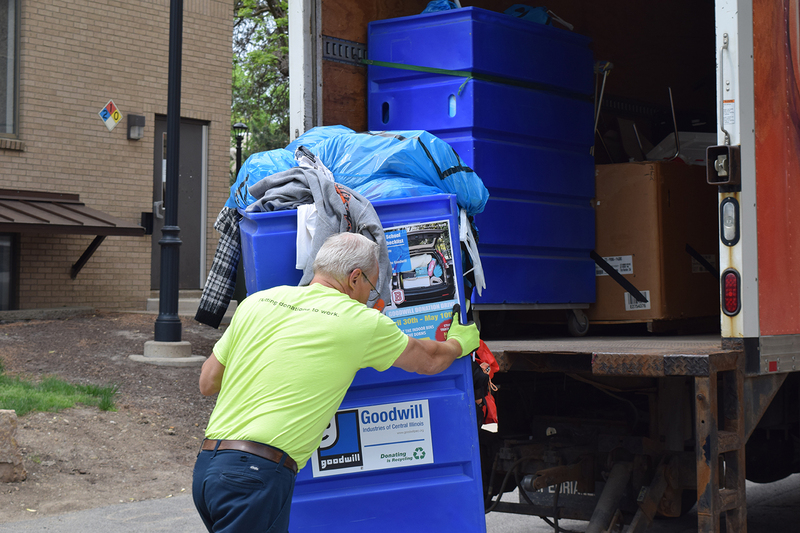 This was the idea behind the Goodwill drive held during finals week, as large blue bins were dropped off at each residence hall lobby and blue bags were distributed throughout all dorm rooms. 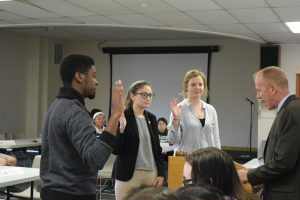 According to Ben Wright, director of Lewis J. Burger Center for Leadership and Service and the assistant director of student activities for leadership and service, the event was a success. Overall, students donated 1,662 pounds of clothing and household goods. The event was coordinated by Lindsay Stephen, the former donation acquisition manager for Goodwill Peoria. 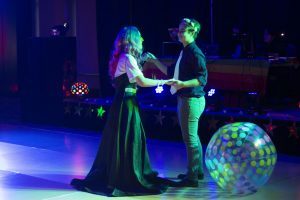 According to Stephen, the event has been planned since late fall of 2017 and was made possible by the university’s support. Amanda Heard, a junior engineering major, said she contributed some of her old clothing to the drive. “Usually, students just throw away things they don’t want, but if it’s in great condition, others would gladly enjoy them. It’s a great feeling knowing that you are helping others,” Heard said. Though there were some guidelines and prohibited items (for example, broken furniture), Stephen stressed that all clothing items could be donated. “We accept all [clothing] even if torn or stained. We will recycle it, rather than throwing it in a landfill,” Stephen said. She said the items donated will contribute towards the betterment of the local community. As this is her last year working at Goodwill, Stephen said she will miss working on projects like this.